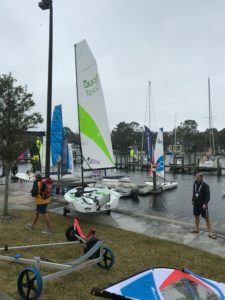 Last week US Sailing held the National Sailing Programs Symposium in Jacksonville, Florida. 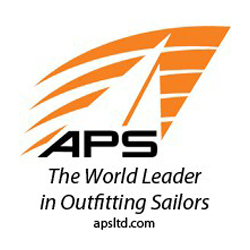 Each winter US Sailing hosts a National Sailing Program Symposium or Leadership Symposium. Last winter was the first time I attended which was the Leadership Symposium and had a great time at the event. 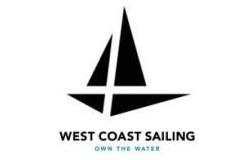 If you are looking to gain information on what people are doing out in the sailing world, improve your program, make connections, and check out new boats in the industry, this event is for you! 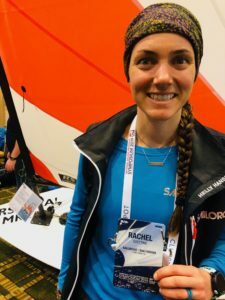 This symposium focused on sailing education, bringing together program directors, instructors, volunteers, parents, and industry representatives to share and learn information about running, maintaining, and improving sailing programs. The event is three full days of seminars put on by different sailing programs across the United States. This year the event was held at the Hyatt Regency in Jacksonville, Florida from January 31st-February 2nd. On day two part of the symposium was held at the Florida Yacht Club so people could demo some sailboats brought by some of the symposium sponsors. The morning starts with one of the keynote speakers and then the day breaks out into different sessions for the attendees. The day begins at about 8:30 each morning and goes until about 5 pm each day. The symposium is a great way to gain lots of information in three days and learn what others are doing out in the sailing industry. 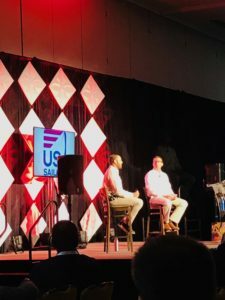 In this article, I want to recap the keynote speakers and some exciting seminars I was able to attend. There was a bunch of great sessions and would love to recap them all if I could, but these were the ones I had the pleasure to attend at the symposium. Session: Diversity, Equity, and Inclusion. Why is everyone talking about it? Karen’s session was very informational. She touched on her background and how she started working with people with disabilities. She explained what diversity, equity, and inclusion mean and why our communities are changing. Diversity: The presence of differences within a giving setting. Equity: Individuals with different identities feeling and/or being valued, leveraged, and welcome within a given setting. 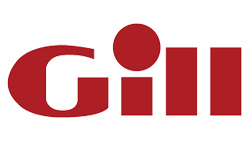 Inclusion: An approach that ensures everyone have access to the same opportunities. She then touched on what the YMCA does to incorporate these three things into their programs and how sailing programs can do this as well. 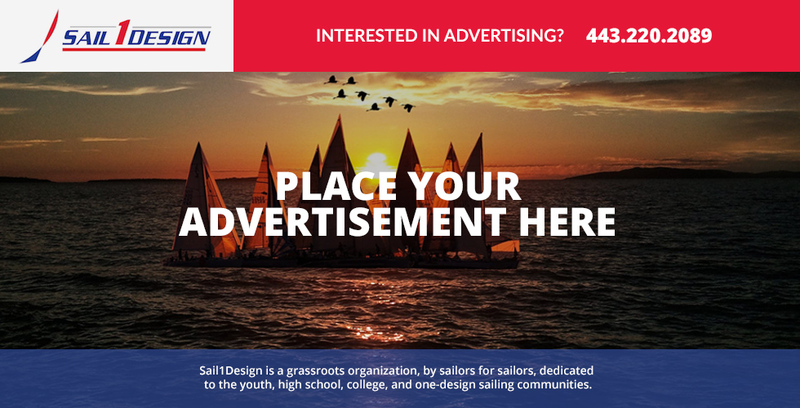 Six opportunities where we can do this in the sailing community is member engagement, program innovation, leadership development, collaborations, resource mobilization, and brand and visibility. For each of these, they calculated what they used for the event. A sustainability report was published on the YSMC for future sailing events to become sustainable. This session was very informational and focused on how to make your programs more safe for your sailors. 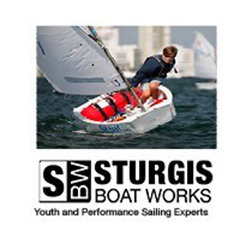 In this session, you learned how Rochester Yacht Club works with the local Coast Guard and First Responders to do Live Drill training with their instructors before the start of their junior sailing program. It focused in on the importance of live drill training being safety, communication, and fun. Reach out to your local responders and work with them to set up live drill training to help keep our sailors safe on the water. This positive mindset is something we can take back to our sailing programs and use in our everyday life to focus more on the process and create a positive culture. Safety, it’s essential to a successful program. Gowrie focused in on the top 10 safety tips and fixes to do before the next season. It was an excellent refresher on what we can do to help make our programs safer for our sailors. Drones: Understand drone safety and liability exposure. Emergency Action Plans: Team with local authorities, conduct a preseason drill. VHF Radio Usage: Train your team on VHF and location awareness. 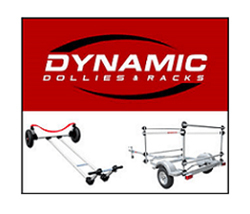 Docks, Floats, and Boat Racks: Follow OSHA Standards and Building Codes for docks, floats, and racks. Electric Shock Drowning: Make a prevention plan. Electrical Cords: Understand OSHA’s guidelines for the use of electrical cords and extension cords. Electrocution: Respect electricity and make a prevention plan. 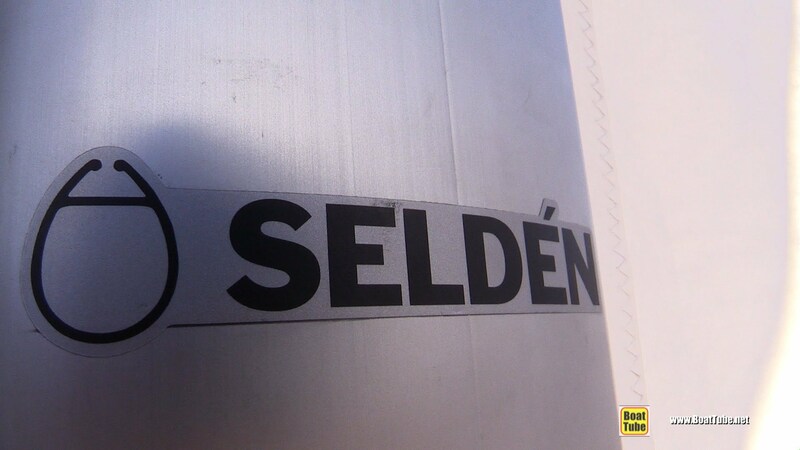 Fire Extinguishers: Comply with OSHA’s fire extinguishers standards. Flammables and Gas Storage: Ensure flammables and gas are safely stored and handled. Prop Guards: Consider installing on safety boats and teach safe boating. 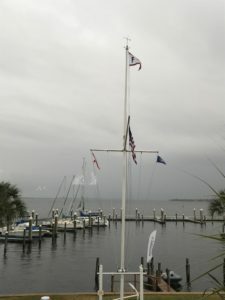 Unfortunately, the weather was a little chilly and rainy for demo time at the Florida Yacht Club, but that didn’t stop sailors from heading out on the water! 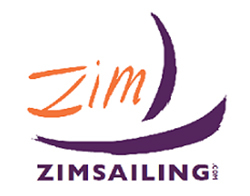 Sponsors that brought boats included RS Sailing, Bic Sport, Zim Sailing, Melges, Dynamic Dollies, and Nacra Sailing. RS boats: RS 21, RS Zest, RS Neo, RS Terra, RS Feva, RS Quest, and RS Aero. There is so many avenues in sailing to take to enjoy sailing, and we need to support them all to keep people enjoying sailing. Enjoy the moment and have fun. Read below their sailing journeys from childhood to now. 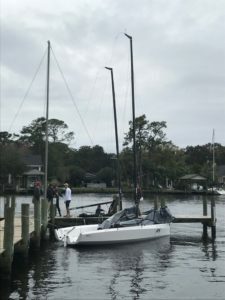 Zeke recently won the 2018 J-22 World Championship held in Annapolis, Maryland. Zeke first grew up in Cleveland, Ohio where he first learned about sailing. His father was introduced to sailing by work friends and wanted to share that experience with his kids. When Zeke was seven years old, his family moved to Sarasota, Florida the perfect place to sail year round. Zeke spoke about how when he first started sailing Optis he was very nervous. A storm came in one day when Zeke was out on the water and made him nervous to get out in conditions above 12 knots. He eventually got over his fear and won an Opti green regatta. 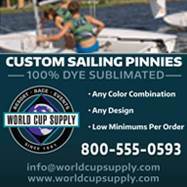 This win sold him on sailing, and he continued racing Opti’s finishing his Opti career with winning Opti Team Race Nationals. Zeke continued his love of sailing moving on to lasers and starting a high school sailing team. He thanks community sailing centers for helping to make this happen and keep him and other youth sailors sailing all year long. Zeke attended Charleston College where he focused in on team racing for the team. As captain senior year he helped Charleston win its first ever ICSA Team Racing Nationals. After college, Zeke continued his passion for sailing by working in the sailing industry and competing in different classes. He worked at a yacht club as well as did some college coaching. 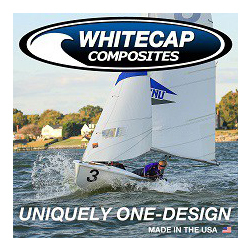 Zeke has been working for North Sails for the past 4 years and loves getting to stay active in so many classes. Will recently won the 2018 J-24 World Championship held in Lake Garda, Italy this is his second time winning the J-24 Worlds his first was in 2014 in Newport, RI. Will grew up in Boston and summered in Maine, at a young age his family moved to Maine full time. Wills family sailed and raced together. At a young age, he was introduced to many different boats from sloops to row boats and just loved being on the water. He loved that his father showed him boats, but never pushed him into a particular boat. 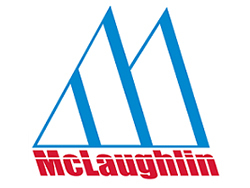 Will never sailed an Opti and never sailed in college, but learned a lot about boats and how to take care of them which he thinks is a lost art in the sailing world today. He started working in the marine industry at a young age and loved working on and driving boats. Will then worked for someone who offered him a J-24 to sail with his friends, and the owner taught him a lot as he had campaigned lots of different boats. In high school, he started a high school sailing team with his friends all of those people on the team are still in the marine industry today. Will continued to sail and decided to move back to Boston and pursue a job with North Sails. He worked with them for five years and did a lot of sailing specifically J/24 racing. Then Will decided to move back to Maine and stop sailing as much but stayed in the marine industry. Some years later Will and his family moved to Newport, and in 2006 he went back to work for North Sails. This session was put into a neat format, John Pearce the Youth Director of US Sailing was the moderator, and he had teenage sailors as the panelists. John started the discussion talking about how youth sports in the United States are organized by adults and by this happening we are losing kids in different sports across the country. He touched on The Aspen Institute Project Play which is a major youth sports research advocacy initiative. The #1 play is “Ask Kids What They Want.” The discussion then went into various questions for the panelists where the audience could ask questions. 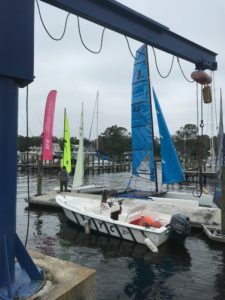 It was a very open conversation about how the young sailors got into sailing what has kept them in sailing and what other young sailors would like to help keep more kids in sailing. The audience was captivated with the conversation and had so many questions for the young sailors. Kids like to be exposed to different boats and not be stuck in one boat all the time. Some kids want to sail with others rather than just by themselves. The attention some kids are getting from their instructors or coaches isn’t as much as they would like, some instructors and coaches tend to pay more attention to the sailors doing well. It was an eye-opener of how we can help grow and keep young kids hooked to sailing. 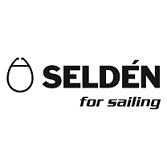 Sustainability has been a big theme throughout sailing events in the past couple of years. It was great to have another opportunity to hear about another aspect of sustainability from Shelly Brown the Education Director for Sailors for the Sea. In this session, Shelly spoke about how big a problem food waste is becoming in the US. About 50% of produce in the US is thrown away, going to our landfills. Once in the landfills the food rots in plastic bags and produces methane gas, and the nutrients aren’t able to return to the soil. A solution to this problem is composting at your regattas and or programs. If you can add composting at your clean regatta, you will be at the Gold Level certification for Sailors for the Sea the worlds only sustainability certification for water-based events. Shelly talked on how you can make composting part of your regatta and how Sailors for the Sea can help. It was very educational, and hopefully, we see more regattas and programs start to implement this process! 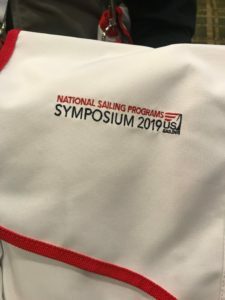 This years event was filled with excitement and excellent information if you have never been to a US Sailing Symposium before you should consider going next year! Next winter it will be the Leadership Symposium which will be held in San Diego, California. Hope you enjoyed the recap and were able to take some information away for your programs. If you were also able to attend we would love to hear from you in our comments on your favorite sessions from the event. Let’s keep sharing knowledge and growing the sport of sailing!